Providing alcohol to minors (anyone under age 21) is prohibited. In California, an alcoholic beverage is any beverage that contains at least one-half of 1 percent of alcohol. Is furnishing alcohol to a minor illegal.? YES: You could be arrested for contributing alcoholic drinks to a minor. Keep reading for more information. In order to curtail under-aged drinking of alcoholic beverages, the California Legislature has enacted Business and Professions Code section 25658. This provision prohibits the sale to minors and the consumption of alcohol by minors. It also permits teen decoys to be used by peace officers to apprehend licensees of alcoholic beverages. This includes employees or their agents along with innocent bystanders in front of shopping centers, liquor stores and wherever alcohol is sold and consumed. 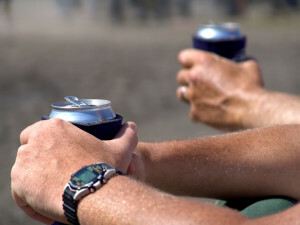 The Alcohol Beverage Control Department, or the ABC (http://www.abc.ca.gov), employs the alcohol decoy and alcohol sting methods to apprehend anyone who is caught giving, selling or providing alcohol to minors. Tip lines often screen how decoys aide in apprehending violators of the prohibition against selling alcoholic beverages to minors. Furnishing alcoholic beverages to minors is punishable by a misdemeanor under Business and Professions Code section 25657 (unlawful solicitation of sales). In accordance with the California Business and Professions Code section 25658(a), every person who sells, furnishes or gives — or who causes to be sold, furnished or given away — any alcoholic beverage to any person under the age of 21 years is guilty of a misdemeanor. A misdemeanor can be punished up to and including one year in the county jail, a fine of $1,000 or both. Under Business and Professions Code section 25658(b), it is made clear that any person under the age of 21 years who purchases or consumes an alcoholic beverage at any on-sale premises is guilty of a misdemeanor. A second or subsequent violation of subdivision (b) shall be punished by a fine of not more than $500, or the person shall be required to perform not less than 36 hours or more than 48 hours of community service during hours when the person is not employed and is not attending school, or a combination of a fine and community service as determined by the court. The punishment for violation of subdivision (a) by furnishing an alcoholic beverage, or causing an alcoholic beverage to be furnished, to a minor shall be punished by a fine of $1,000 and no part of which shall be suspended, according to the Business and Professions Code. Further, the person shall be required to perform not less than 36 hours or more than 48 hours of community service during hours when the person is not employed and is not attending school for the first offense. There are additional fines and jail time if the prosecution makes a determination that the alcohol was furnished to the minor for reasons other than just being kind or nice to the minor. The prosecution could allege that the defendant’s intent to supply the minor with alcohol is to get the minor drunk/intoxicated to take advantage of him or her sexually or for other prurient interests. Based upon the facts and circumstances, the charge could be increased to a felony with a substantially longer prison term and or higher fines. Be aware! If you are ever identified as one who provided or furnished alcohol to an unsuspected teen or a decoy who happens to be underage, call Fiumara & Milligan Law, PC. 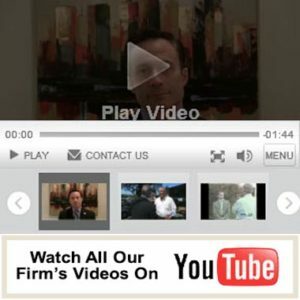 You need to consult attorney Michael A. Fiumara at 707-571-8600 for a free half-hour consultation so that you can understand your rights, responsibilities and the consequences of being charged with a Business and Professions Code Section violation (a misdemeanor) or even a more serious Penal Code section violation for serving, purchasing or giving alcohol to a minor who is under the age of 21.